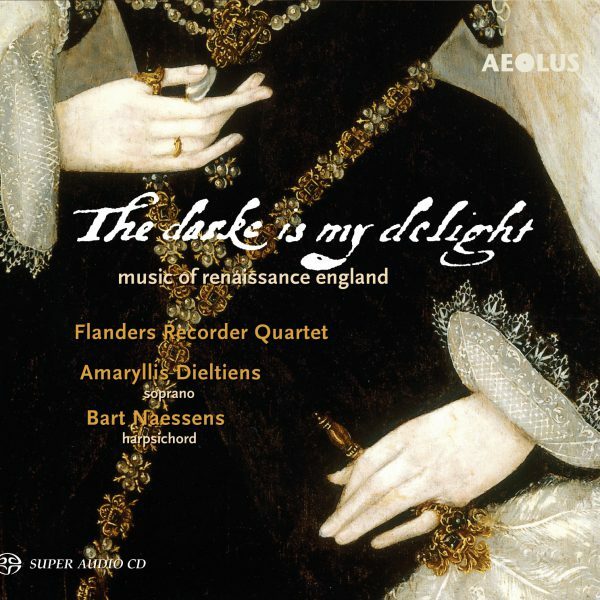 The English Renaissance was of necessity a haven of chamber music: under the influence of the Puritans, the private sphere gained importance for the predominantly Roman Catholic musicians and the musical life of the island. Cheerful exuberance as well as deeply felt melancholy mark the works on this SACD. Among the composers are unknown names, but also those of Dowland, Byrd and Morley. 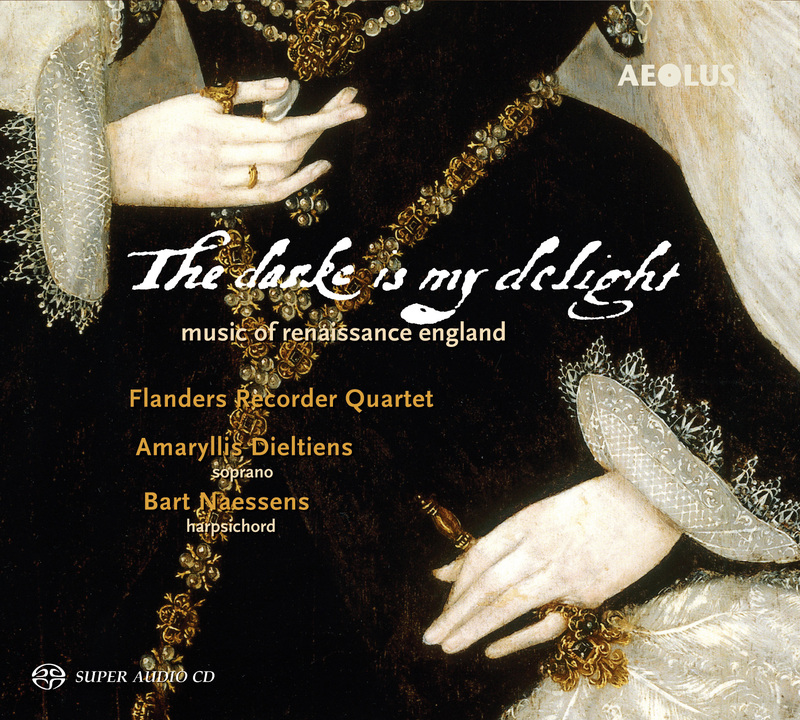 A special highlight are the eight consort songs featuring the Flemish soprano Amaryllis Dieltiens in her solo debut on AEOLUS, sonorously accompanied by the Flanders Recorder Quartet. The Belgian ensemble Flanders Recorder Quartet numbers among the absolute top formations of its kind. Concert tours regularly lead it to North America and Asia. On this SACD the ensemble plays 18 different Renaissance recorders, from soprano to great bass. The recording was made in the splendid acoustics of the former Augustine church of Antwerp’s Augustinus Music Centre (AMUZ). The surround-sound version on the SACD promises special listening pleasure.